Mrs. Hilda Crick, known to many as “MeMa”, age 88 of Jacksonville, Florida, formerly of the Verona Community of Marshall County, passed away peacefully at Hadlow Community Hospice on Monday morning, March 19, 2018 with her son and daughter-in-law, Steve and Lori by her side. Mrs. Crick was a daughter of the late Otis Earl and Jessie Lee Hastings Troop and was preceded in death by her husband, Raymond Kearney Crick, who died in 2012. She retired from Genesco, Inc. of Lewisburg, TN and later, again retired from Henry Horton State Park in Chapel Hill. 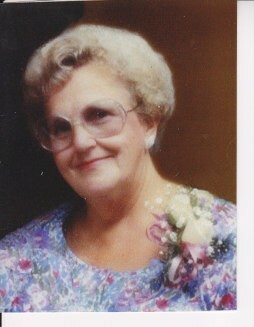 Mrs. Crick was a long time member of Berea Church of Christ in the Verona Community. Mrs. Crick was world known for her involvement with Iris flowers and was a member of the American Iris Society since 1965. She served as a judge for Iris competitions for over 40 years and served as Judge’s Training Chairman for both United States and International judges. In 1995, she served as an International Judge in Florence, Italy. Mrs. Crick was a former member of the Board of Directors for the American Iris Society and was awarded the Distinguished Medal from the American Iris Society. Mrs. Crick is survived by her son and daughter-in-law, Steve and Lori Crick, St. Johns, FL; grandchildren, Jason (Maria) Crick, Cheyenne, WY, Jennifer (Chris) Kipphut, Charlotte, NC; great grandchildren, Steven Crick, Aiden and Riley Kipphut, Joey Crews, Zach (Amanda) Hughes and Alyssa Hughes; great great grandchildren, Ava and Jordan Crews and Joseph and Henry Hughes. Family members will receive friends on Thursday, March 22, 2018 from 4:00 until 7:00 p.m. at Lawrence Funeral Home. Funeral services will be conducted at 11:00 am on Friday, March 23, 2018 from the chapel of Lawrence Funeral Home with Jim Cox and Tony Lancaster officiating. Burial will follow in Simpson Cemetery in the Rover Community of Bedford County. For those who wish, memorial donations may be made to Northeast Community Hospice, 4266 Sunbeam Road, Jacksonville, FL 32257, or the Middle Tennessee Iris Society, 3811 Hwy. 49 East, Charlotte, TN 37036.